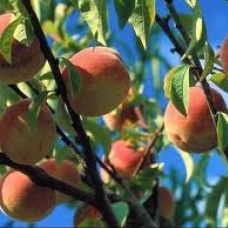 We cultivate a wide range of peaches characterized for its nice flavour and appearance. In our company we have a strong commitment to the latest varieties in the market from the line EXTREME®, which allows us to achieve excellence in terms of organoleptic qualities. Furthermore, due to their good conservation, it is possible to send them to long-distance market. We also offer the client the opportuniy of being in the market since the month of May with no acid nectarine varieties, 100% red skin and yellow flesh.